The road trip is an American institution. Nothing expresses the size and variety of these United States like crossing them on the highway: deserts, mountains, forests, plains, swamps, cities, Wal-Marts — you name it, we have it. “The Road,” Tenacious D. What’s amazing about the D is that beneath their goofy lyrics are some really great tunes. “Poor Little Critter on the Road,” The Knitters. If you’re a fan of X, you need The Knitters in your stacks. X’s brand of punk always had a country vibe, and minus guitarist Billy Zoom plus a couple of friends they ran with that on two brilliant roots albums. This is the title cut of the first of those. “This Road That I Walk,” Conway Twitty. Conway’s early rock and roll phase has been unfairly forgotten. Sure, he was a country and western giant, but he could rockabilly with the best of them. “8 Days on the Road,” Howard Tate. A sadly overlooked soul singer most active from the mid-sixties though the early seventies, Tate enjoyed a small revival in the early 2000s. “The Road to Travel,” Bert Sommer. The lost star of Woodstock. Bert Sommer was set to open the gig but conceded the slot to the more seasoned Richie Havens. For reasons that we’ll never really know for sure but probably because he wasn’t signed to Warner Brothers, Sommers’s brilliant performance didn’t make the Woodstock film or soundtrack. He eked out another 15 years on the edge of success before his untimely death in 1991. 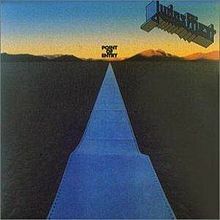 “Heading Out to the Highway,” Judas Priest. Not a deep cut for Priest fans, but too fun not to include. Okay, how about one more for your baby and one more for the road? I’m listening. Great collection! I liked them all, but my favourite is: “8 Days on the Road,” by Howard Tate. I hadn’t heard him before and your’e right, he’s sadly overlooked. Thanks for sharing.